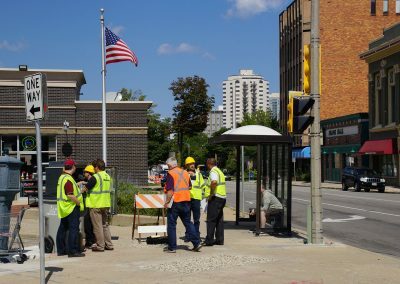 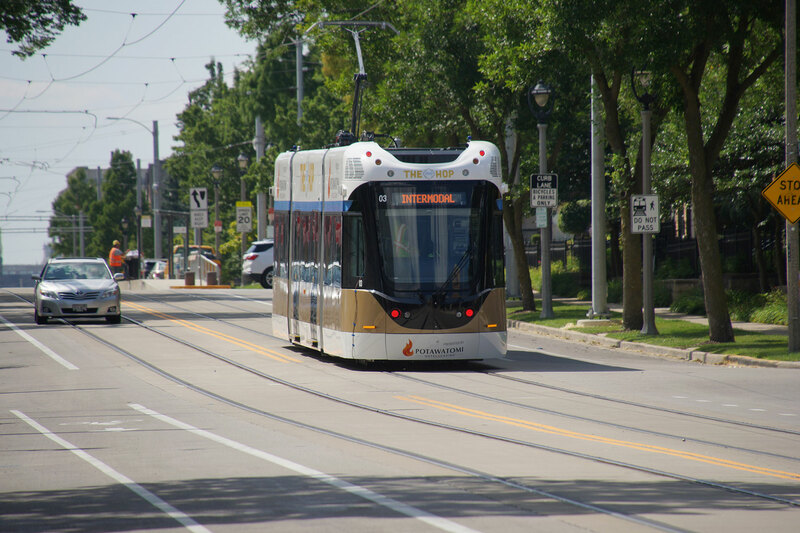 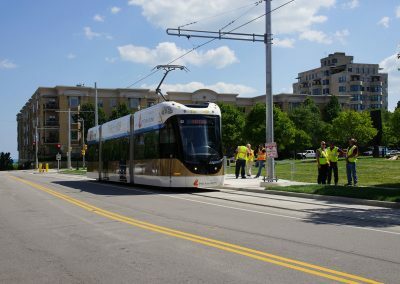 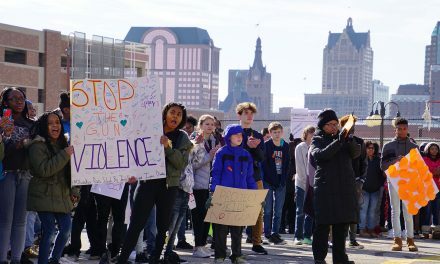 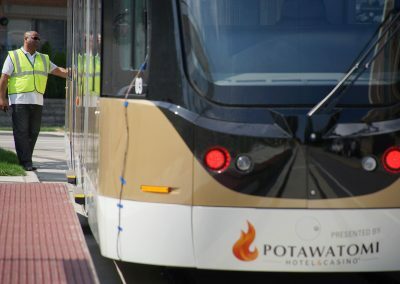 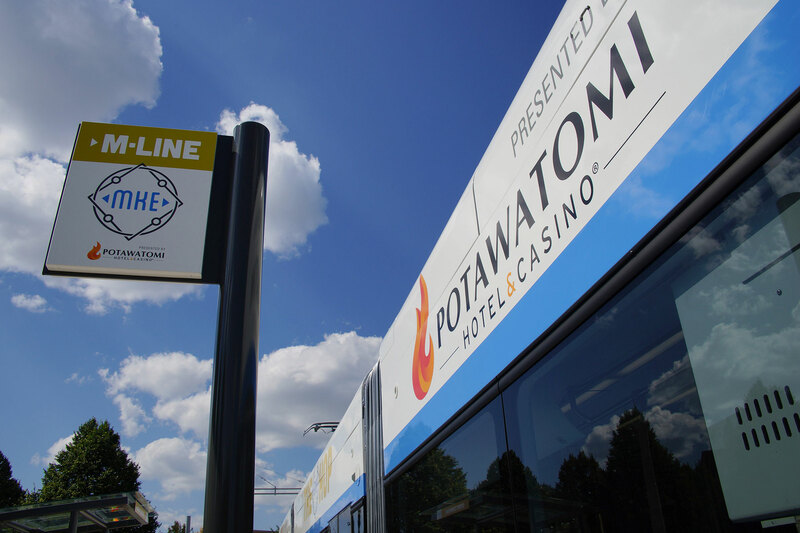 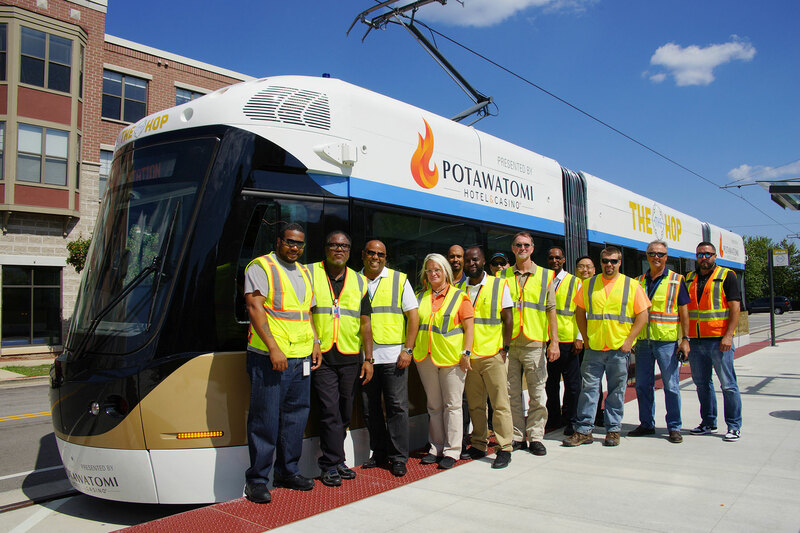 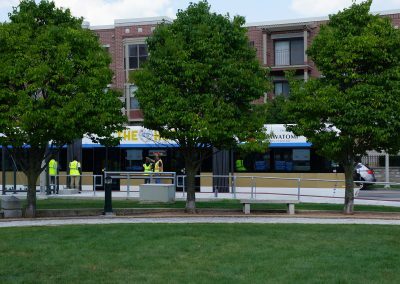 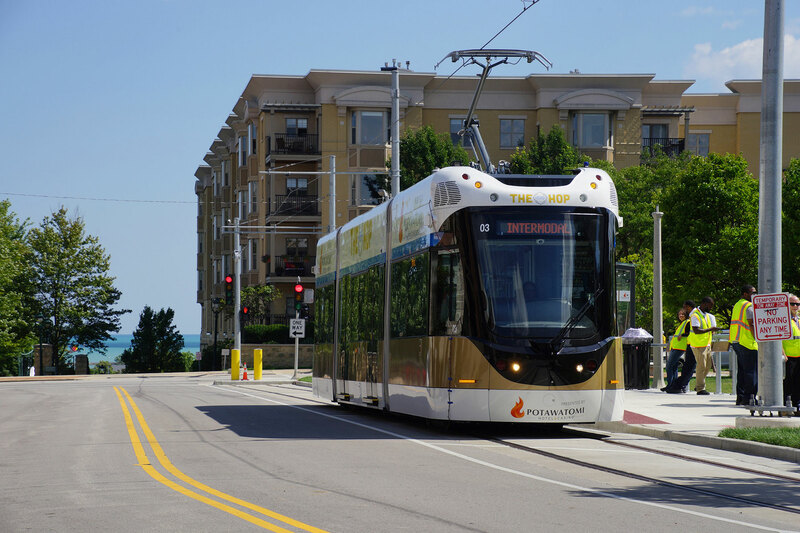 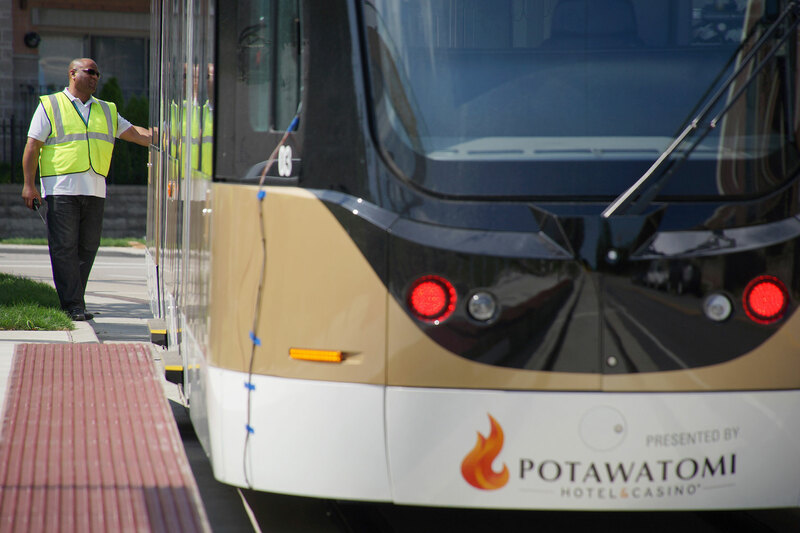 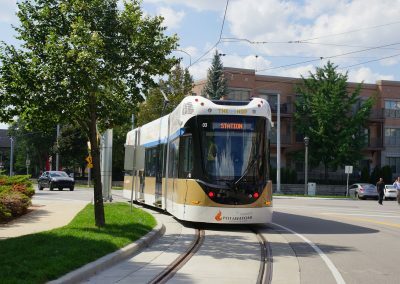 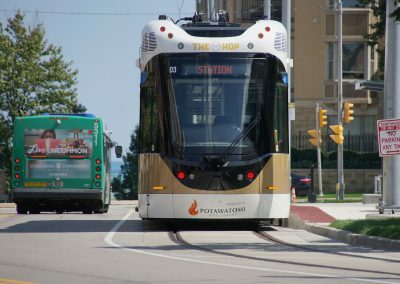 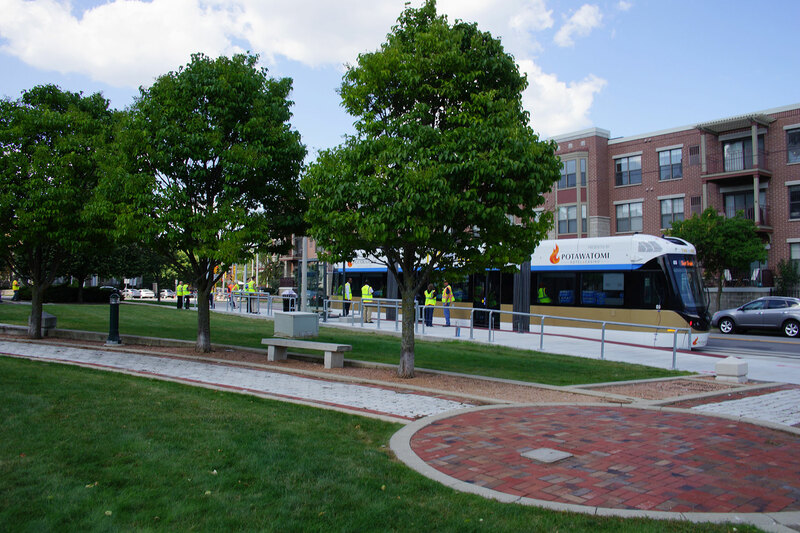 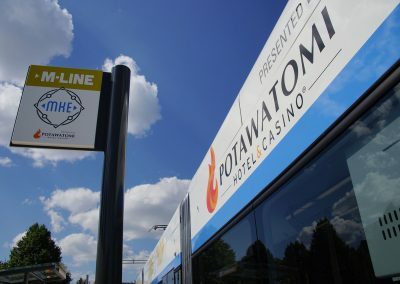 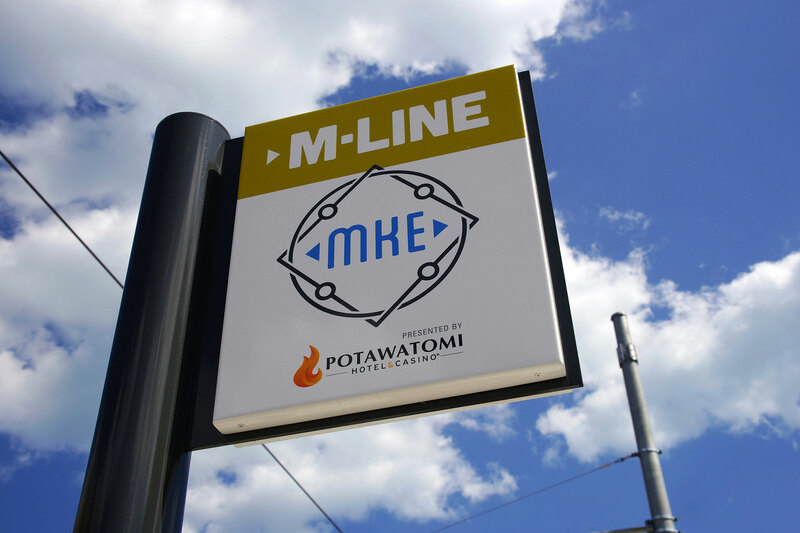 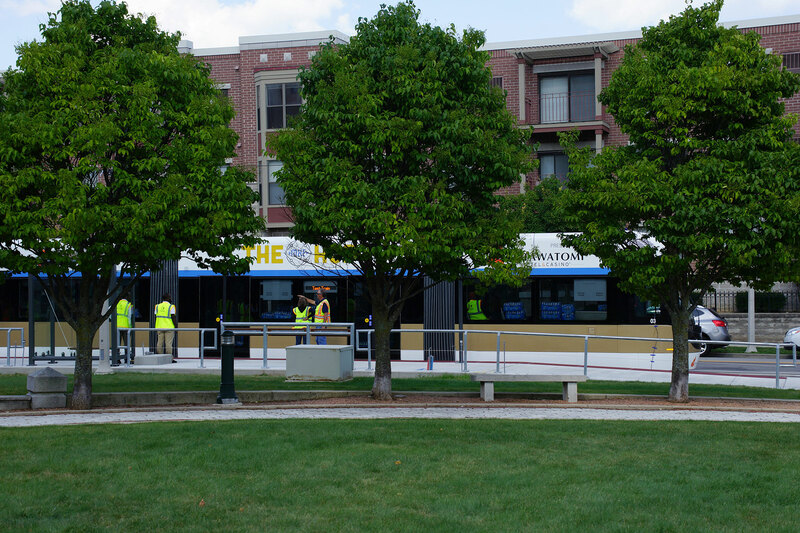 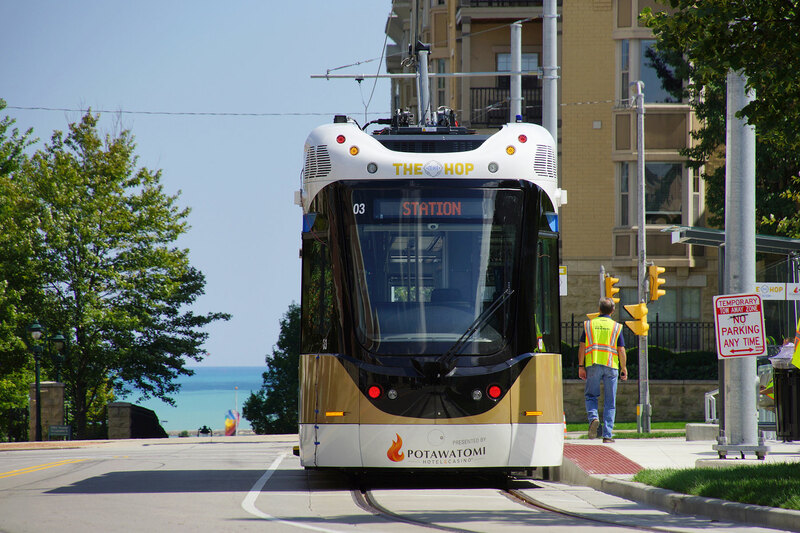 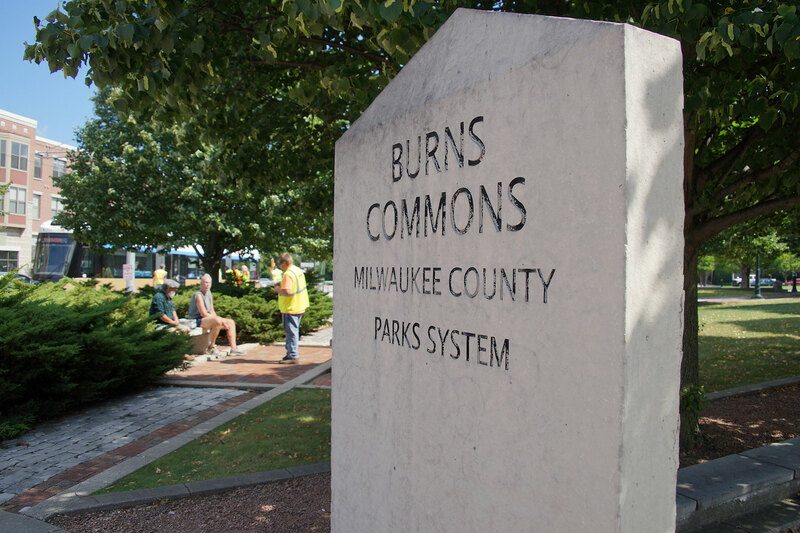 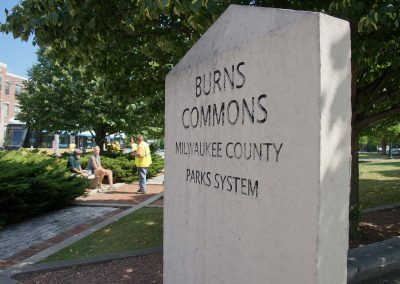 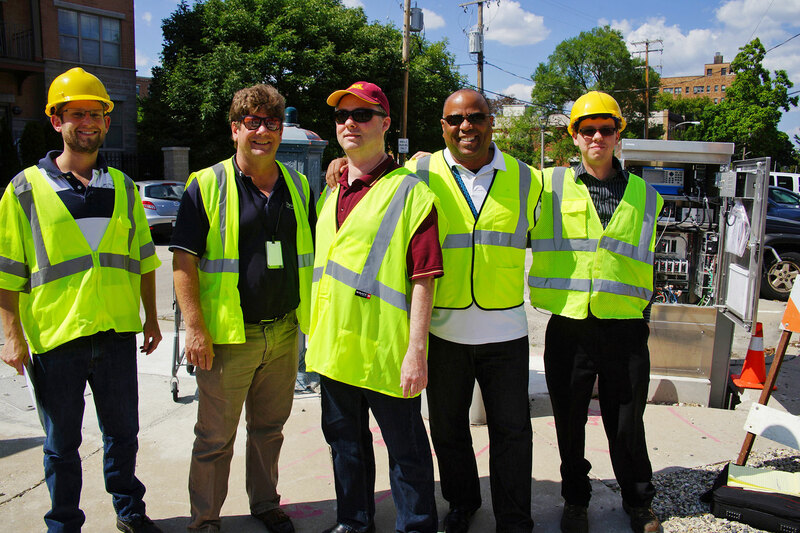 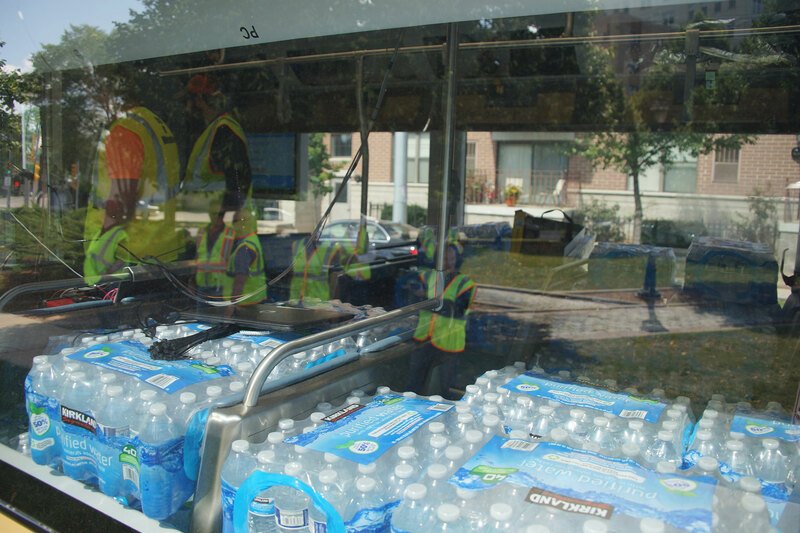 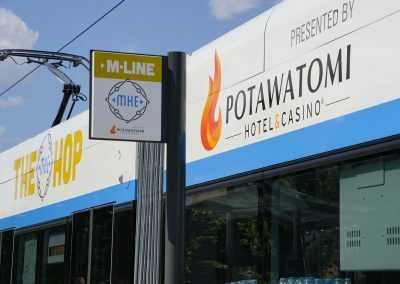 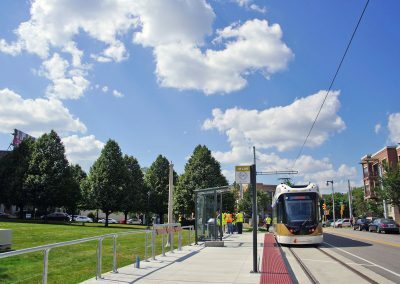 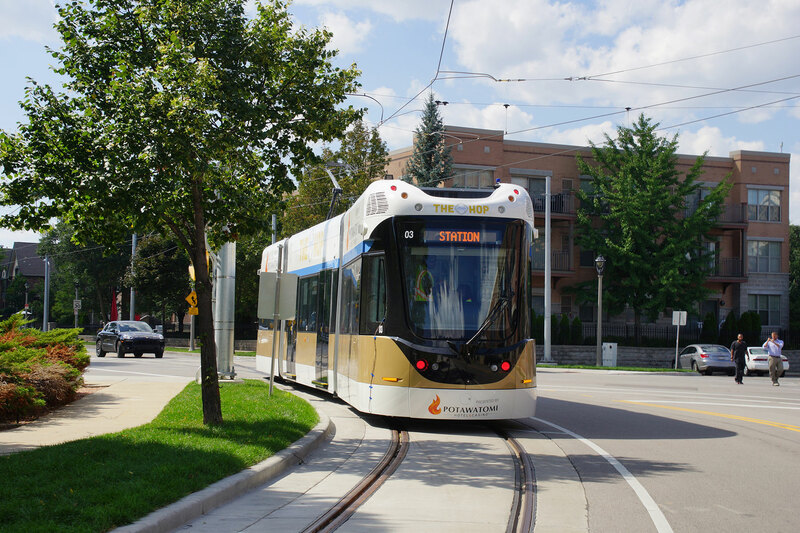 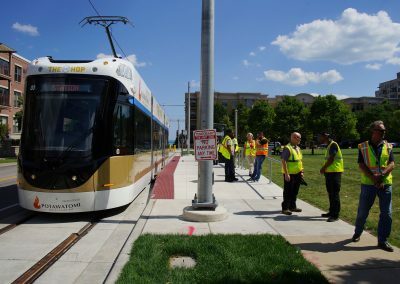 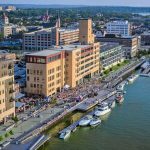 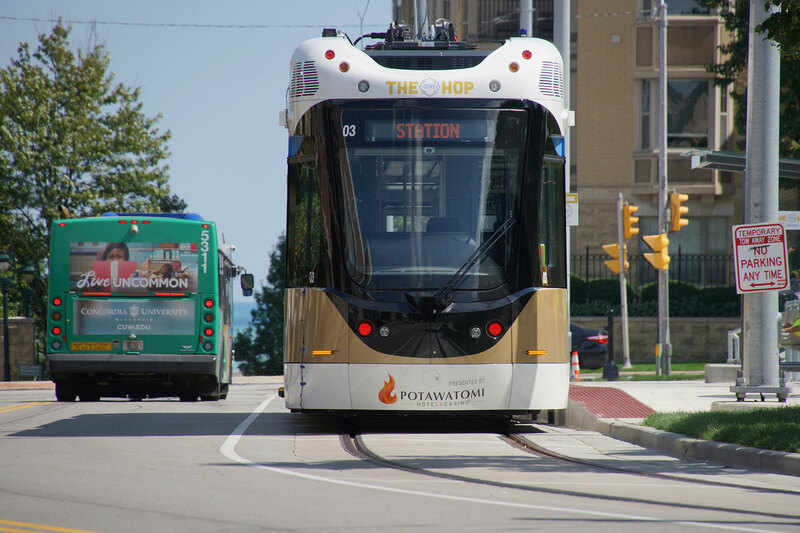 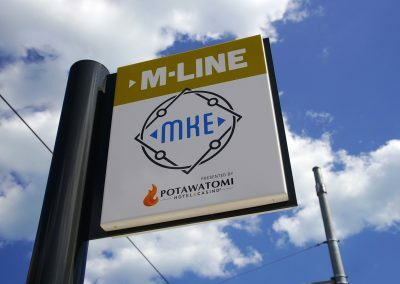 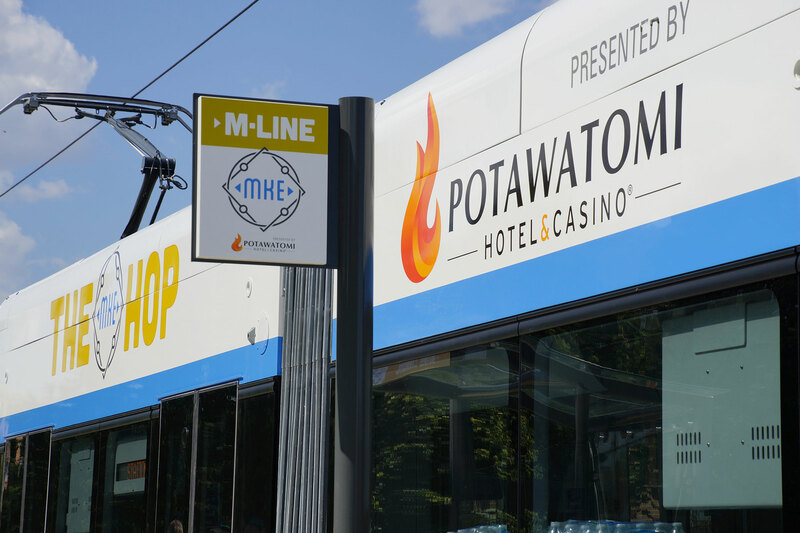 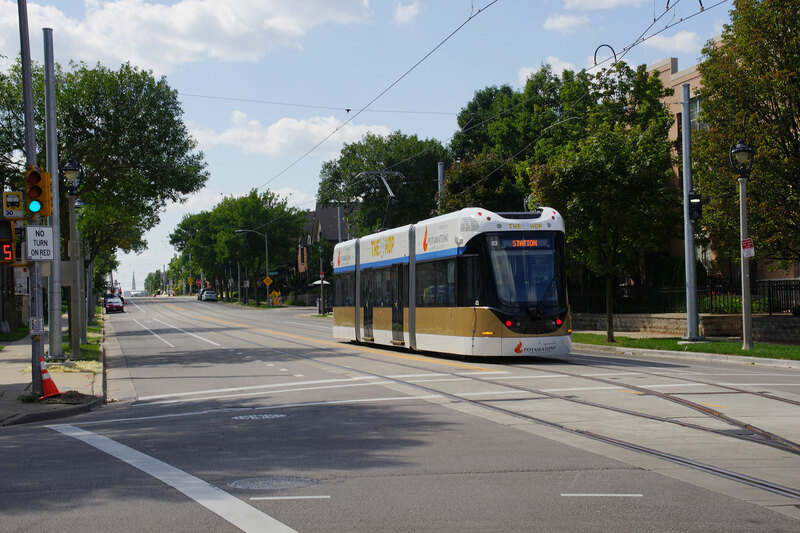 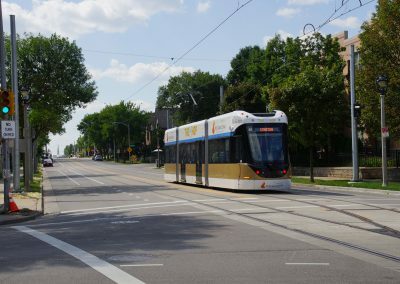 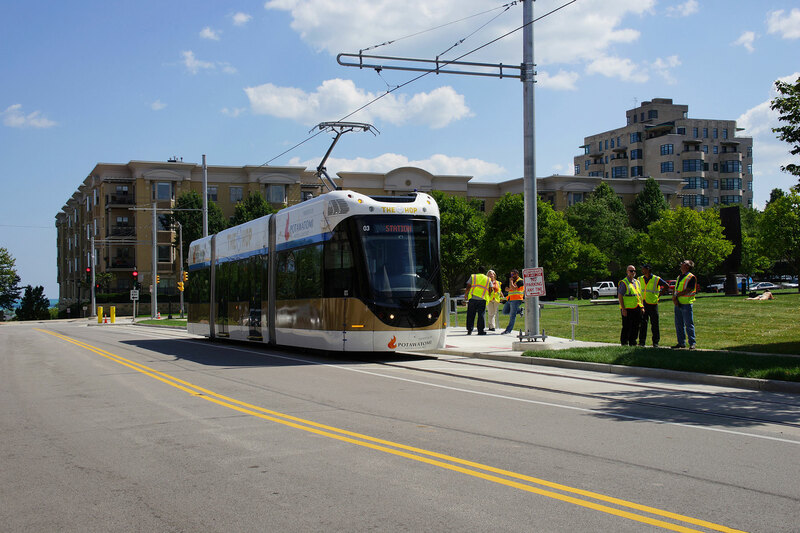 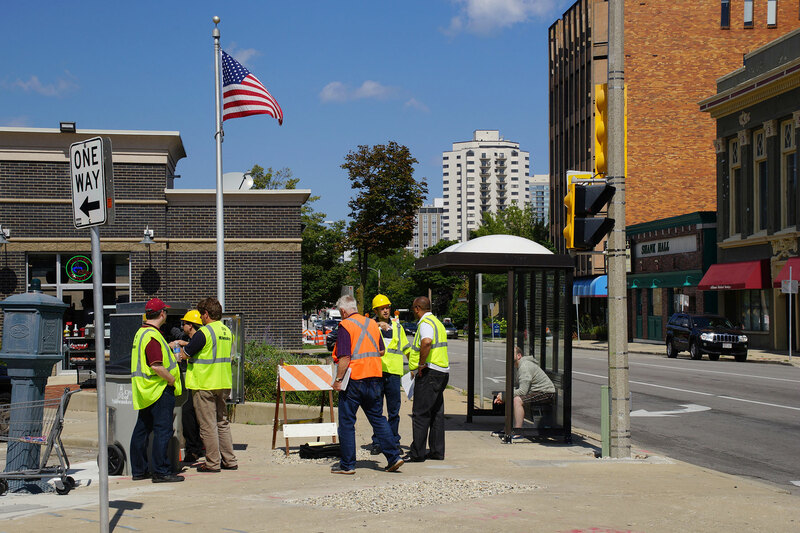 The Milwaukee Streetcar training class and support staff took Vehicle #03 for a 2.1 mile run from the Intermodal Terminal to Burns Commons on August 22, making it the first daylight end-to-end route test. 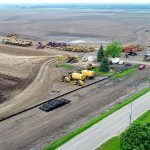 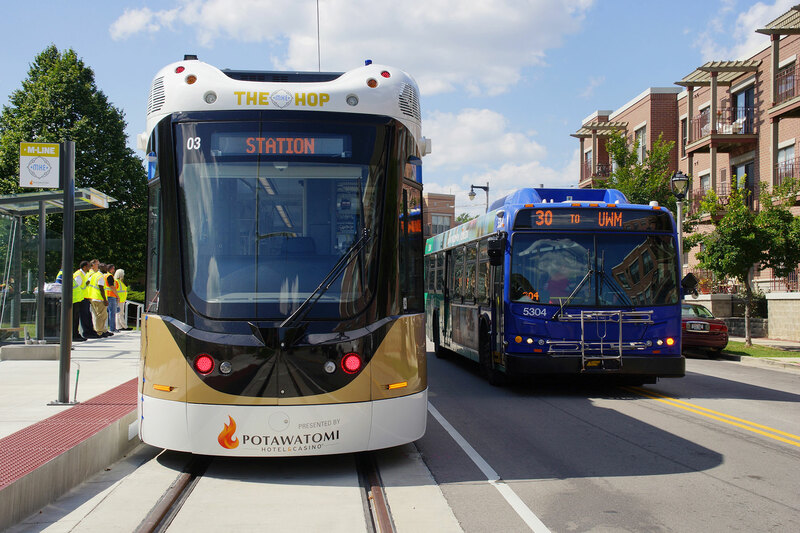 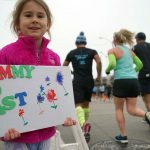 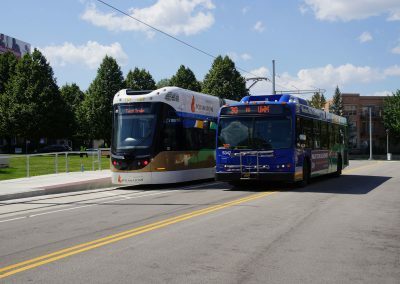 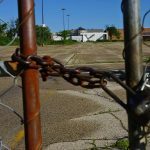 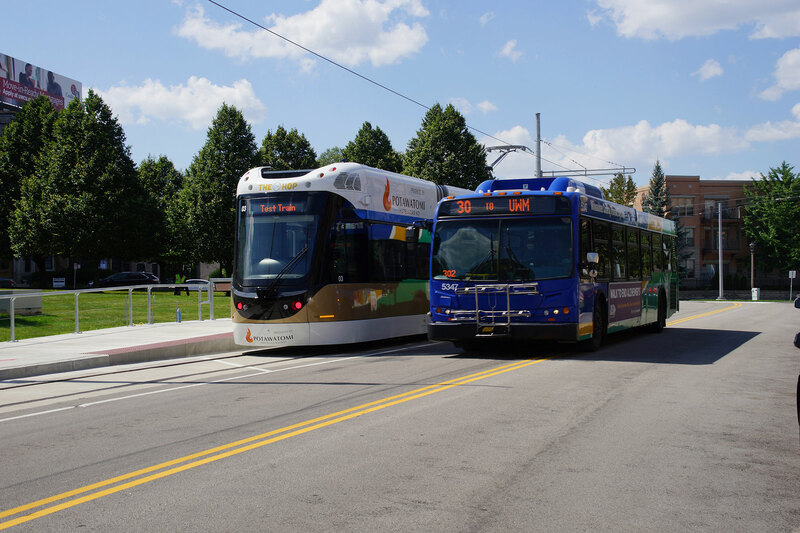 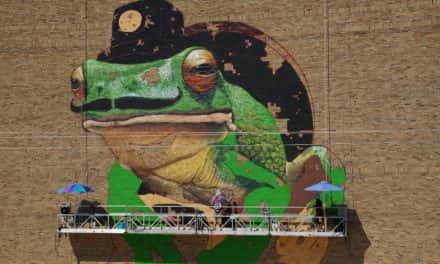 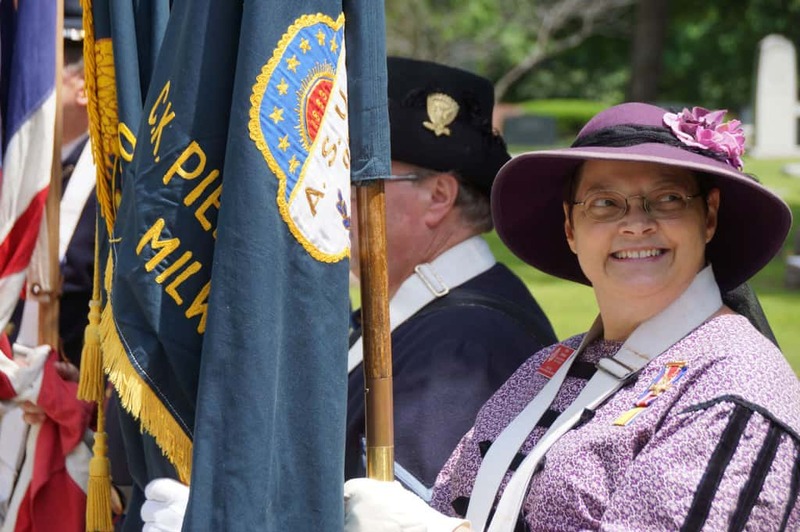 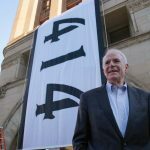 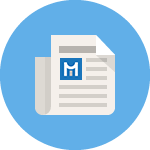 The 83,000 pound vehicle was expected to test between 31 and 42 miles along the route, with higher through less traffic-dense straightaways, like East Ogden Avenue. 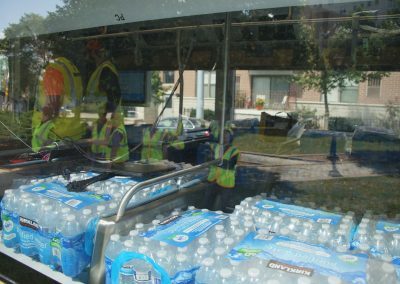 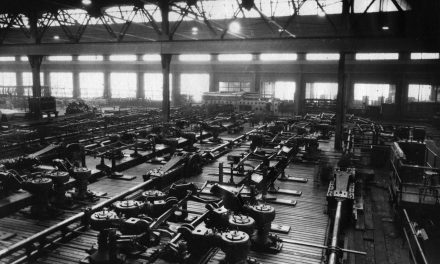 Including the weight of the training crew, stacks of bottled water bundles created 20,000 pounds of ballast to simulate a capacity ride load. 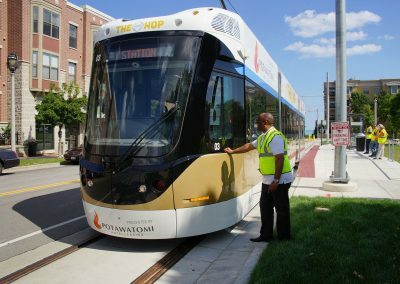 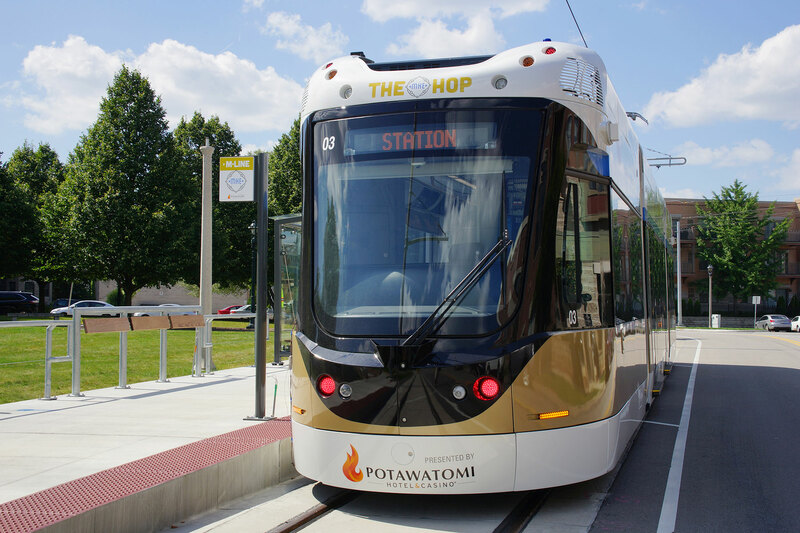 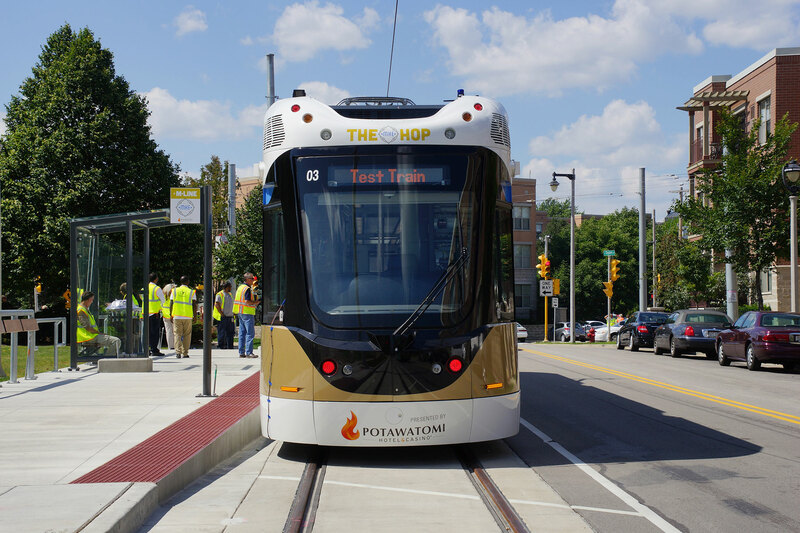 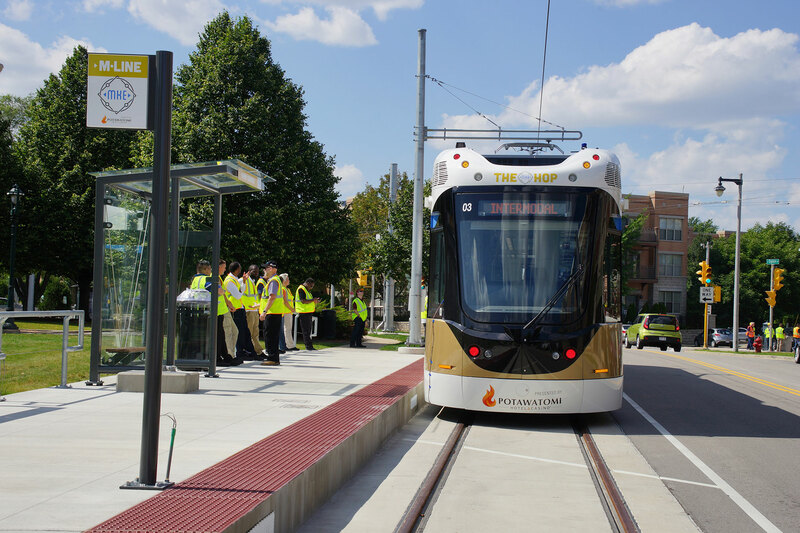 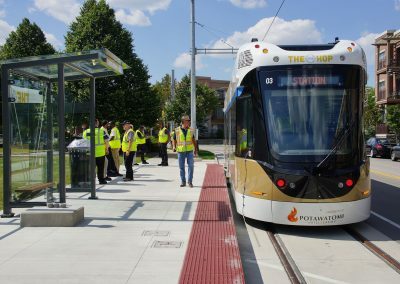 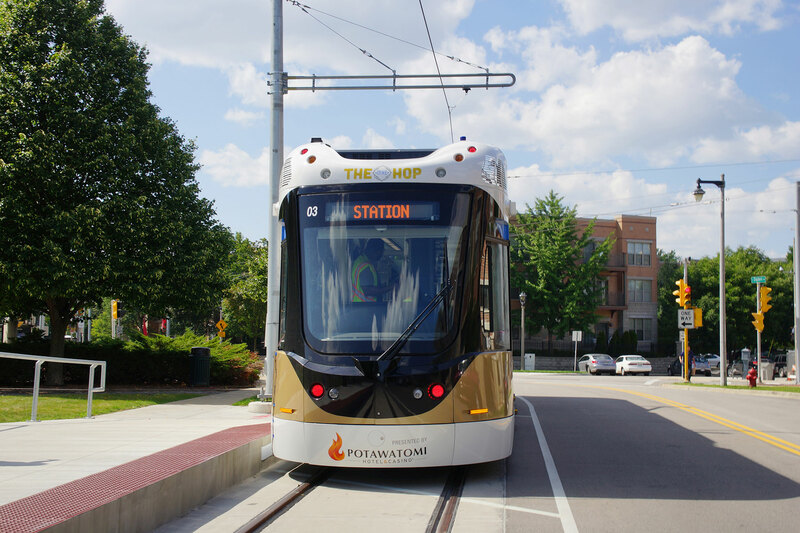 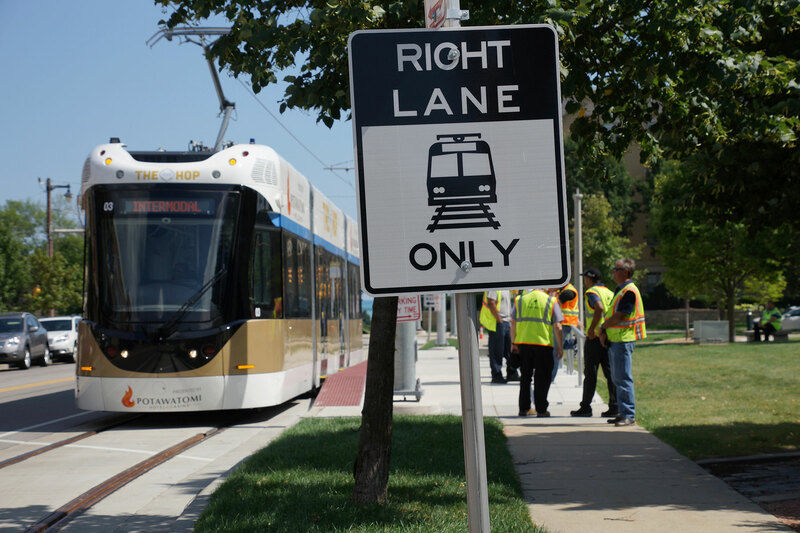 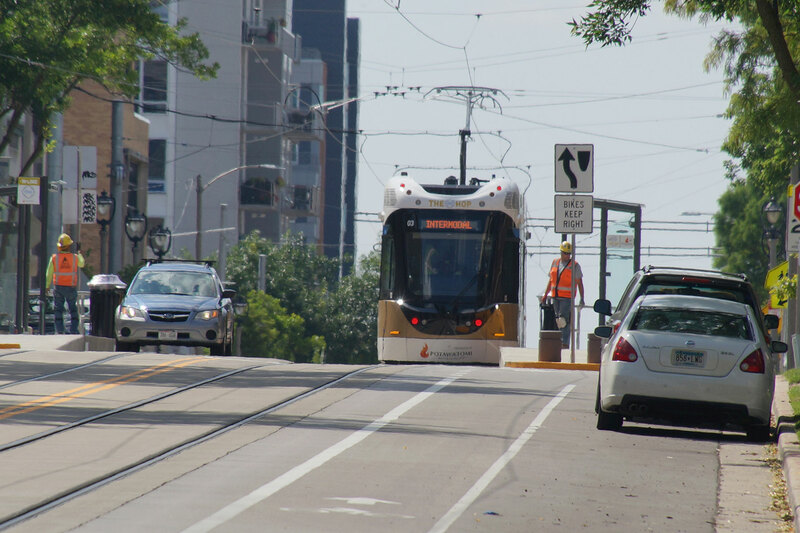 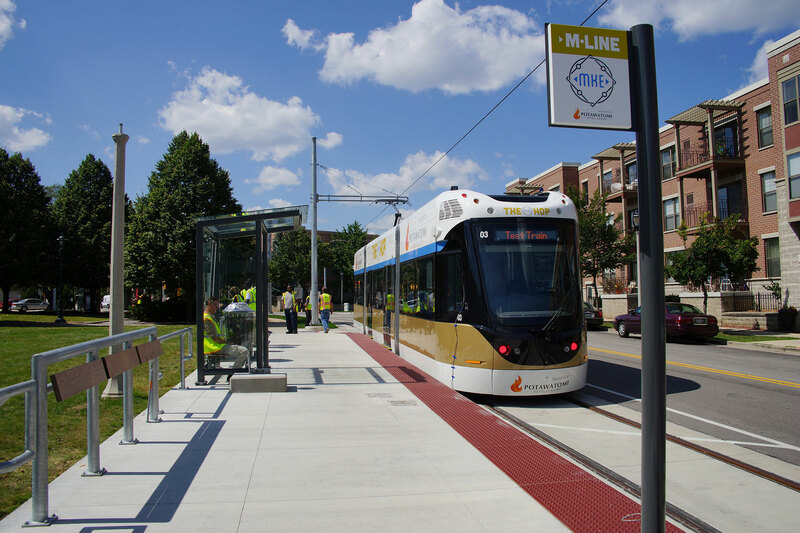 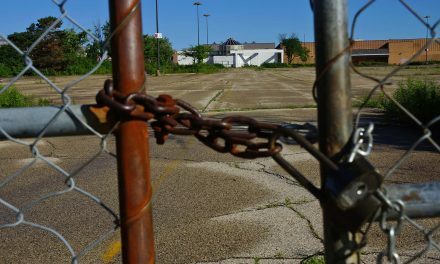 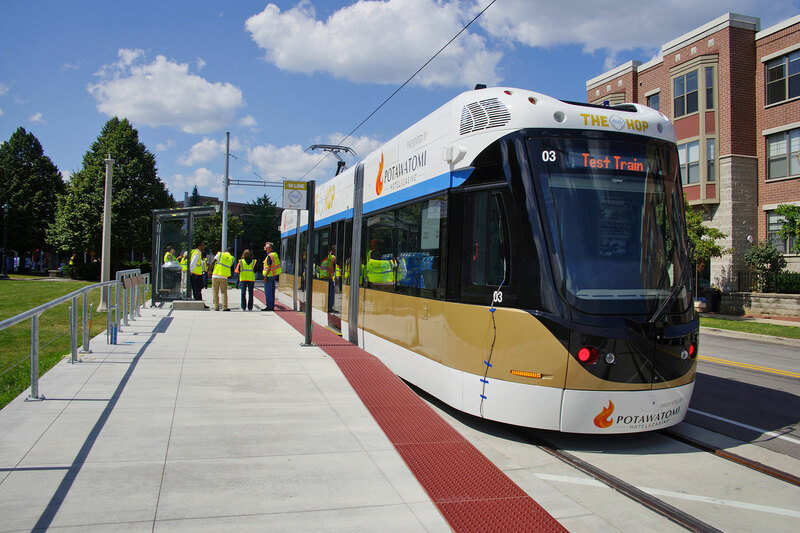 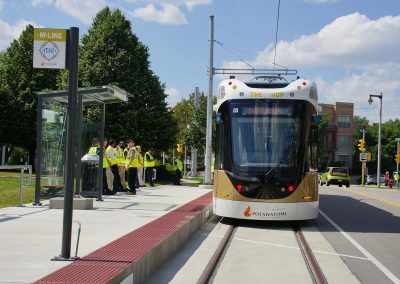 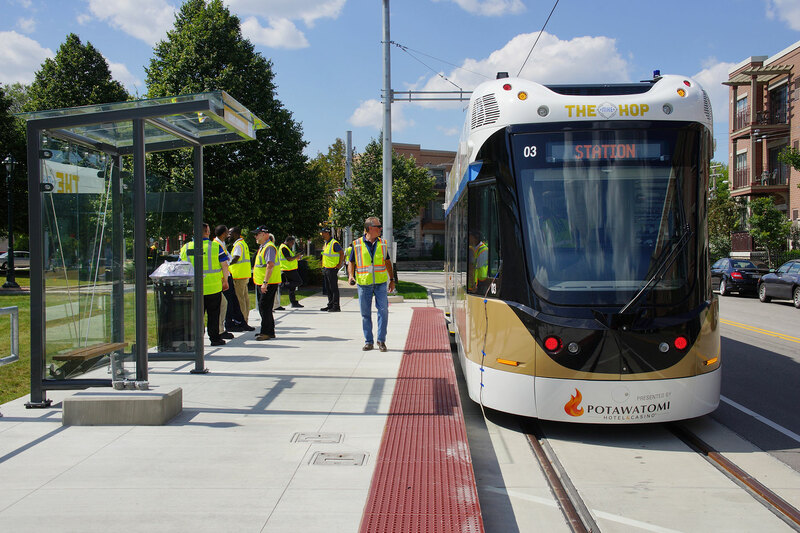 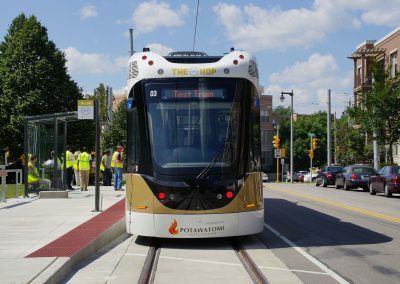 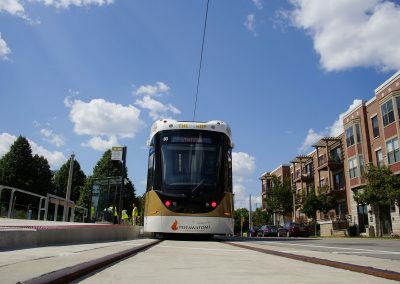 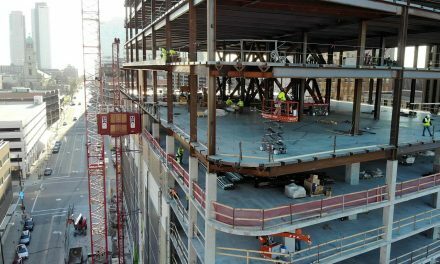 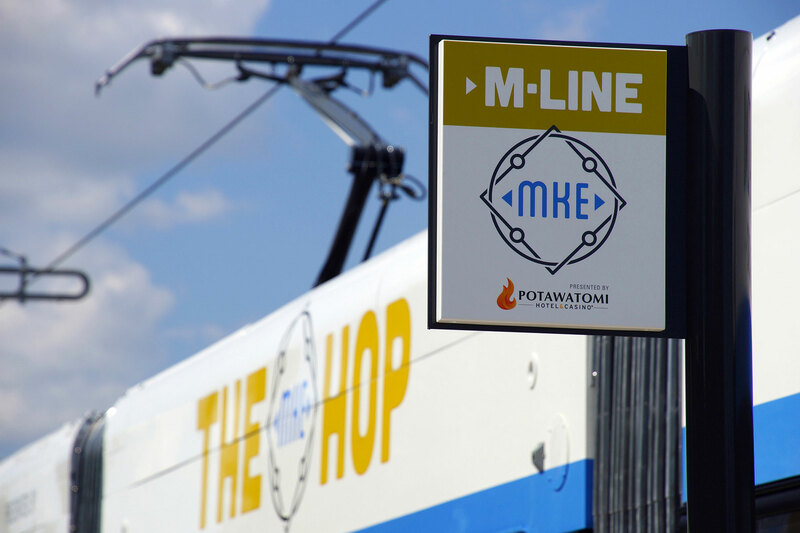 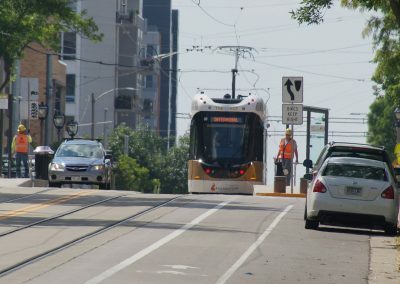 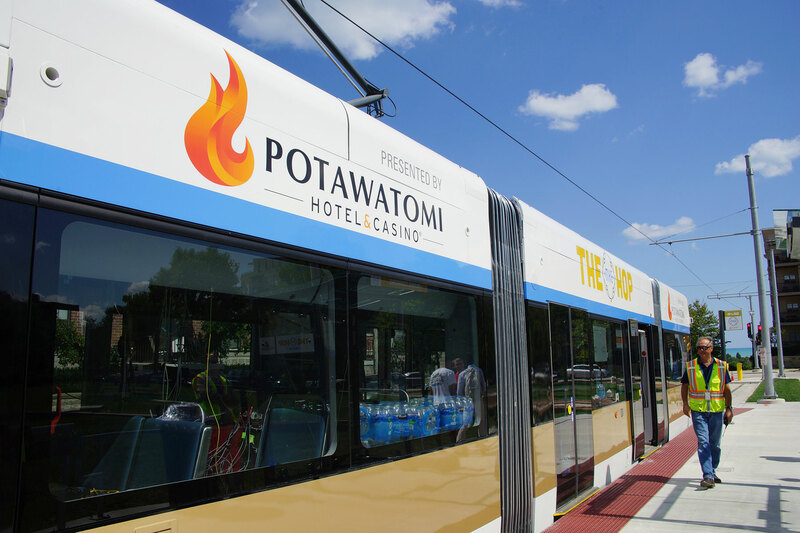 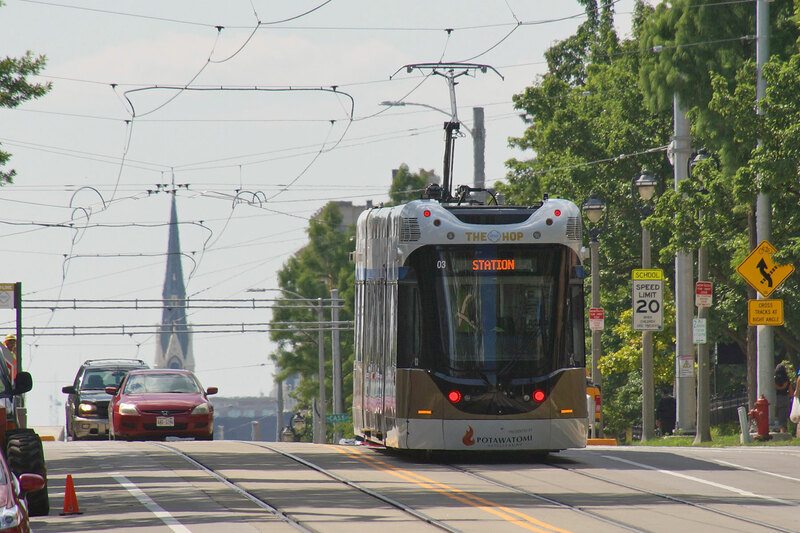 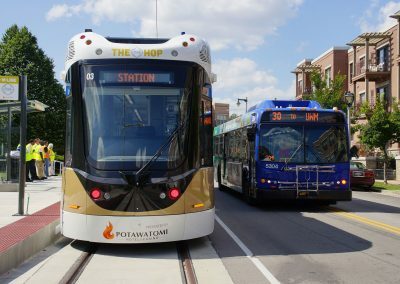 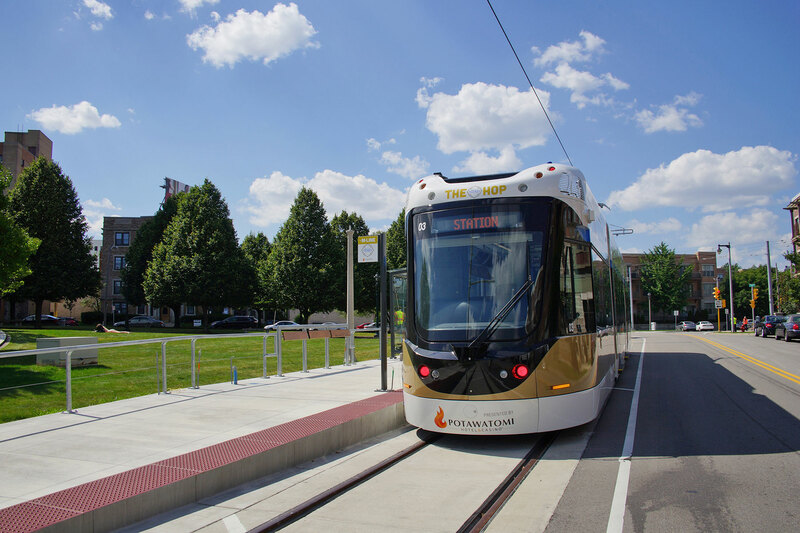 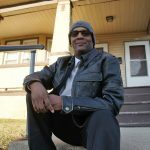 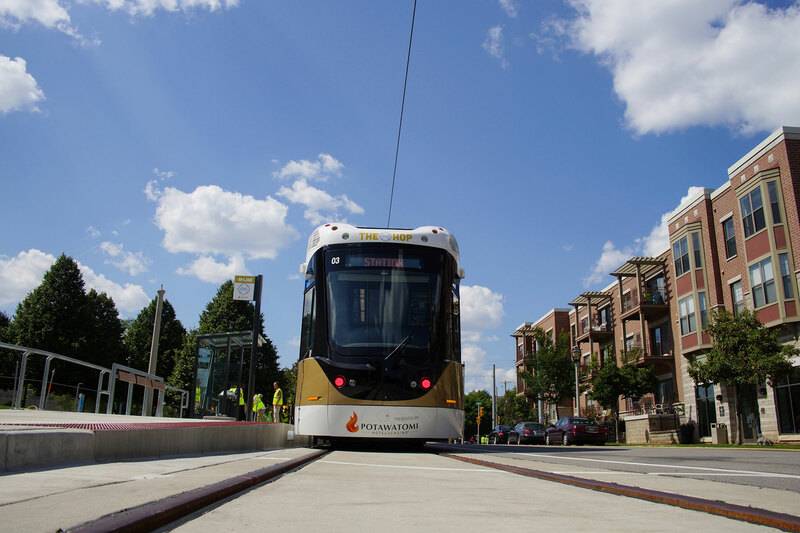 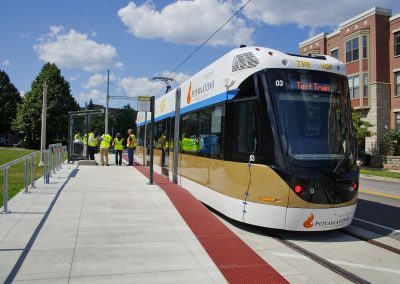 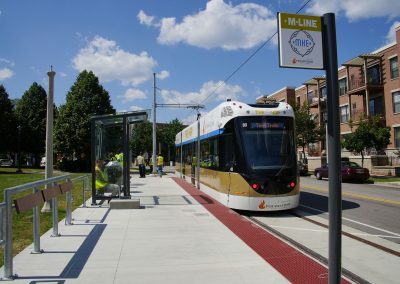 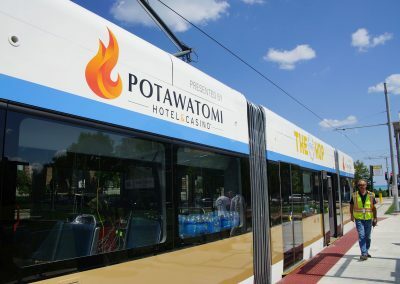 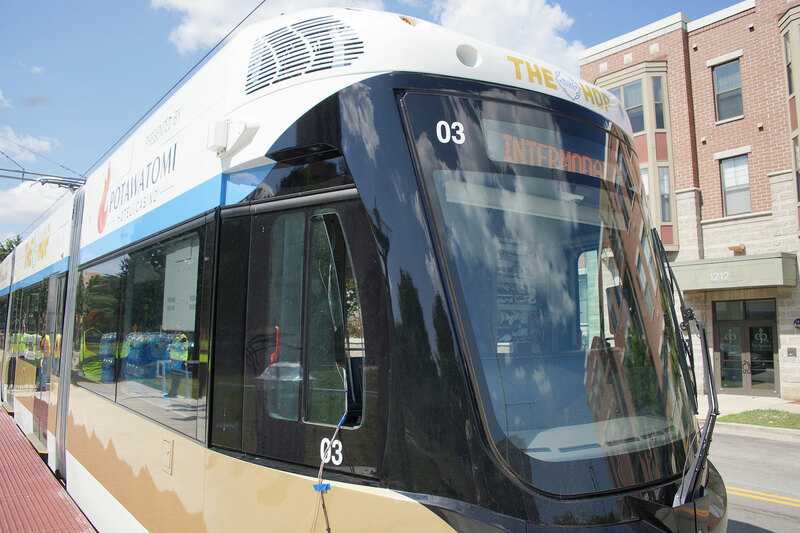 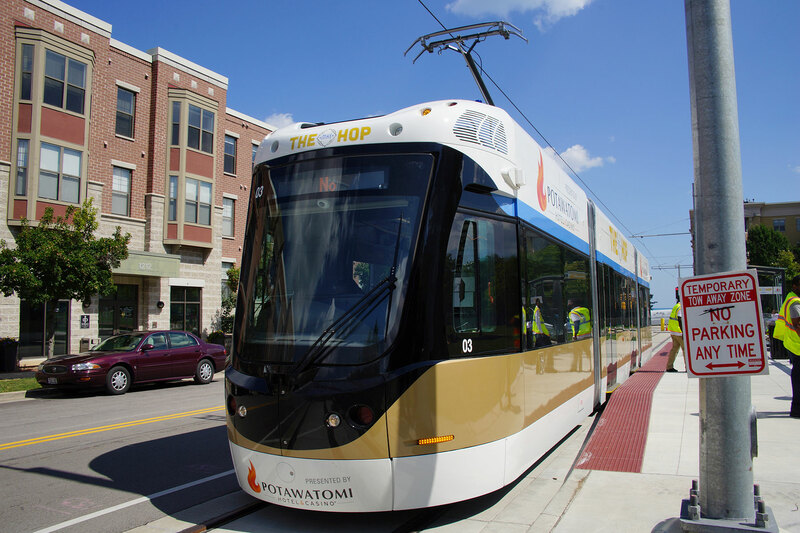 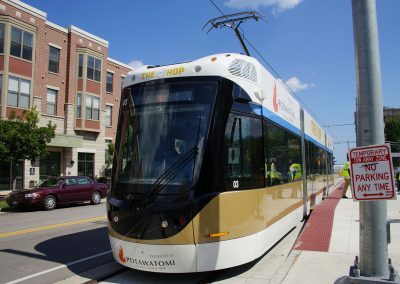 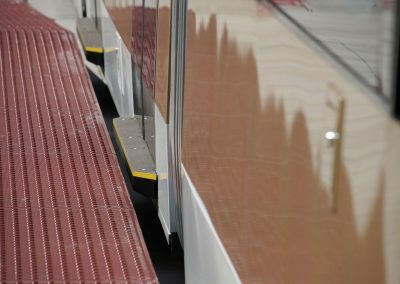 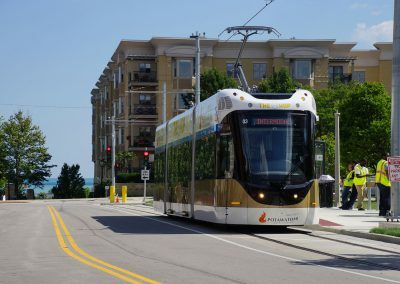 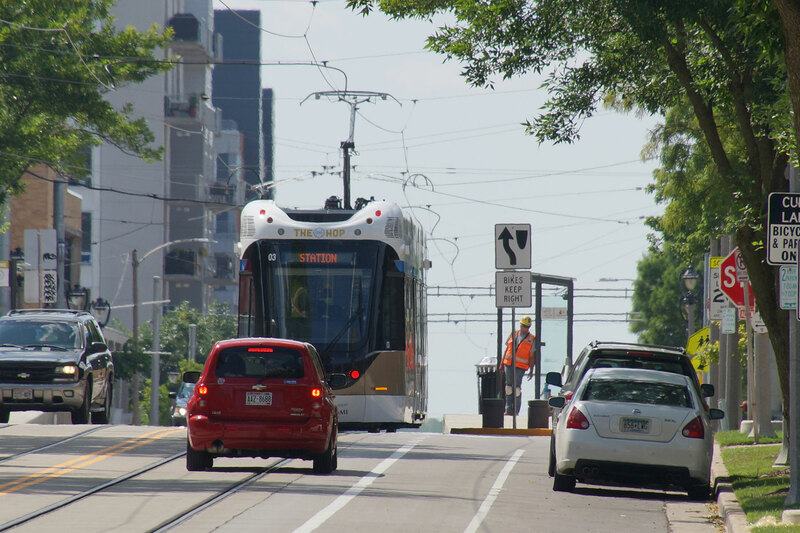 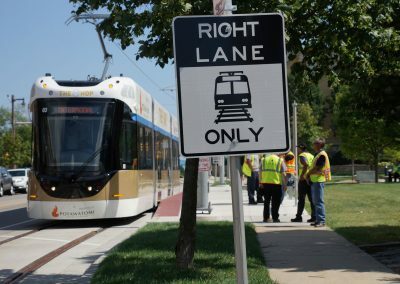 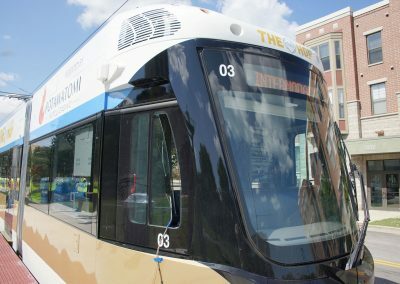 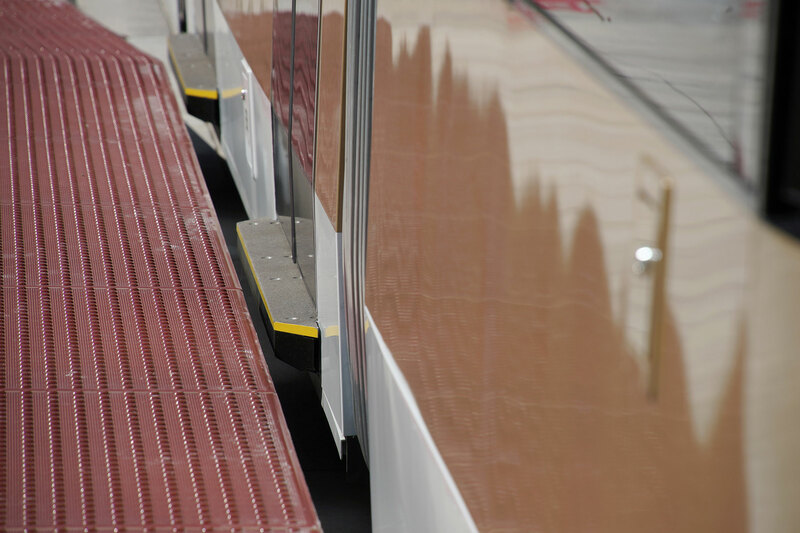 The streetcar fleet must log more than 620 miles of testing before it can begin passenger service, which is expected to be completed in time for a November launch. 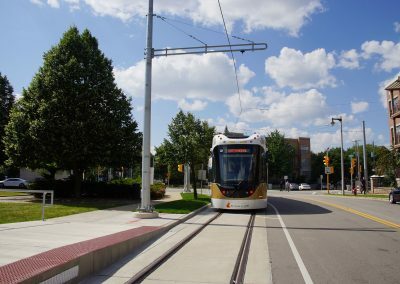 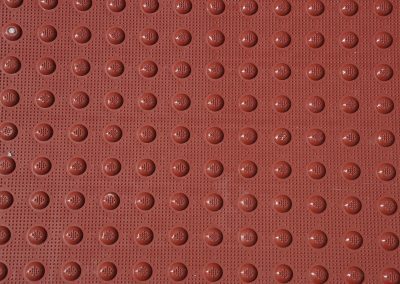 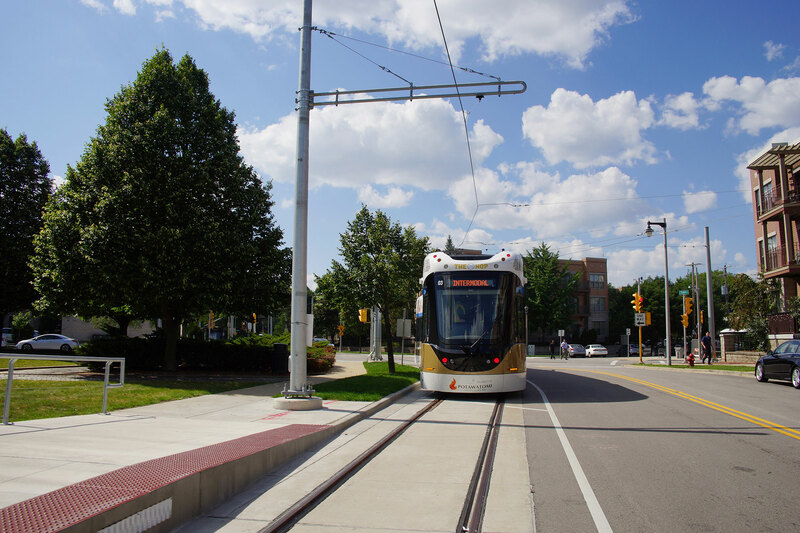 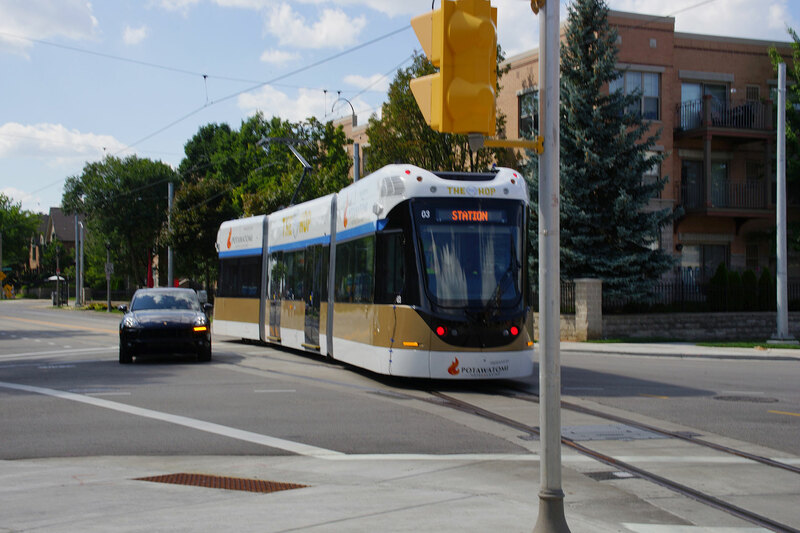 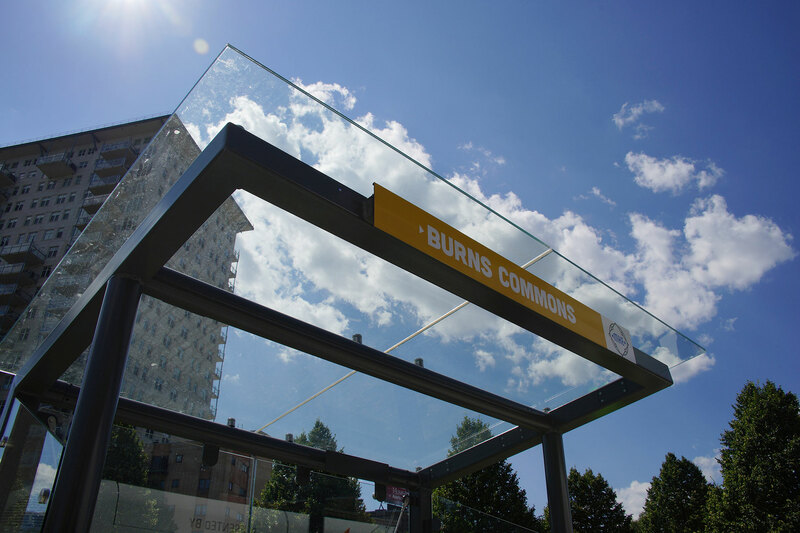 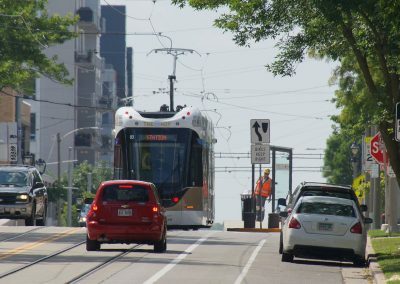 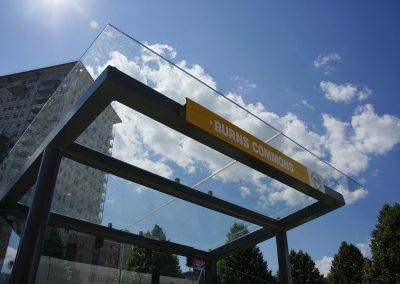 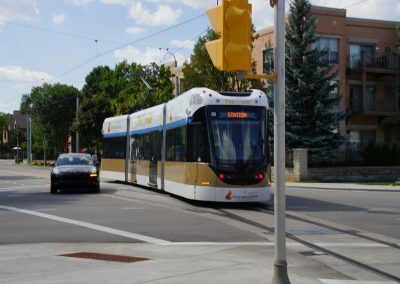 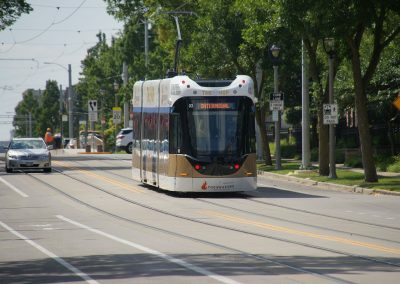 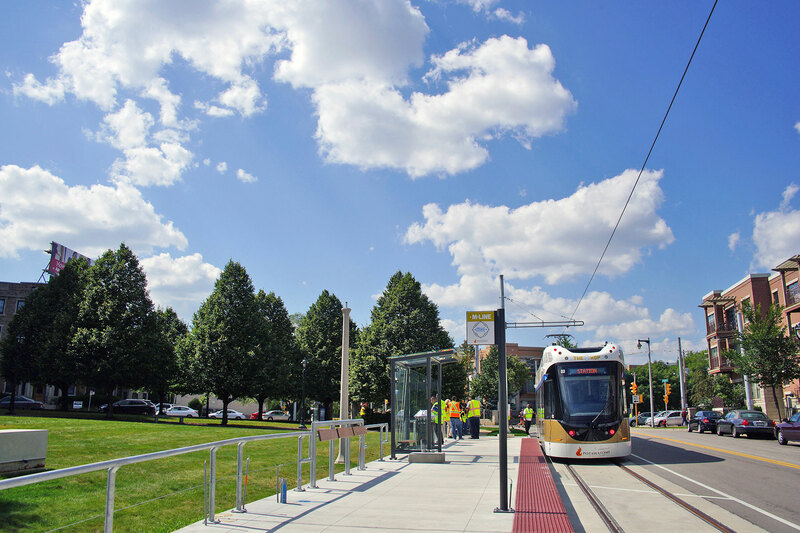 These images document the streetcar’s testing at the Burns Commons Station.